MASELTOV researches and develops innovative information technologies to facilitate bidirectional integration via local community building and to empower cultural diversity. Migration involves individuals in serious risks of social exclusion due to various causes. Primarily, migrants suffer from fundamental changes in their socio-economic context: persons have to re-establish social life from scratch, understand a new language, understand a new way of living, a new culture with different technologies and opportunities to be discovered and problems to be resolved. The first months and years after arrival represent a critical phase where an overwhelming multitude of challenges needs to be tackled, handled and resolved at once. At the same time, capabilities in language understanding, social networking, job search, medical support and information access affect essential issues in life that may fundamentally impact the future of each individual – either leading to successful inclusion and opportunities for personal success, or inducing personal crises that set the individual in conflict with its local environment. The more differences in language and social culture, the larger the risks for social exclusion and conflict situations. In particular, immigrants from outside Europe encounter socio-cultural contexts that fundamentally differ from their previous life; a contrast that becomes an extreme challenge for immigrants with low education or even illiteracy problems. This may prevent them from a successful integration into the information society, which, furthermore, generates socially explosive situations. Immigrants represent a substantial part of the European information society. In 2005, 1.8 million people or 85% of the European population growth immigrated from outside Europe. For example, Austria (15%), Spain (12%) and the UK (9%) are major targets of immigration streams into Europe. 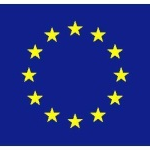 In January 2006, the third-country nationals residing in the European Union were about 18.5 million, i.e. 3.8% of the total population of almost 493 million (Eurostat, 2006). Immigration is still the main element in Europe’s demographic growth and positive net migration is recorded in most Member States (Migration Report, 2007). Immigrants are mandatory to stabilise the European economy, they represent an important pool of potential entrepreneurs in Europe, their businesses have a significant impact on EU economic growth, and, eventually, they both culturally and cognitively enrich and complement the European view on life. Thus, in order to make progress in the European information society, it is highly relevant to the European Commission to support the social inclusion of its immigrants. Governments and NGOS have so far put massive efforts merely in the provision of support material, courses and support centres for personal contact of immigrants in case of information requests. However, more is needed than theoretical training and a few visits to support centres in order to support and train the immigrant in the most challenging endeavours, i.e., the everyday challenge of daily tasks, getting actively involved in communicating with the local society and understanding the procedures and local culture. The building of a local community with intercultural communication is necessary in order to prevent immigrants from personal isolation and hyper-ghettoisation. However, the smooth transition from cultural outsiders to knowledgeable social insiders has so far not been sufficiently considered and so often ends in vicious circles of lack of communication skills, low education and unemployment. ICT instruments for supporting immigrants have not yet had a central role, and past efforts have been based on single endeavours lacking sufficient strategy and global reach, thus making support far from efficient. Immigrants’ use of ICT is generally focused on using the internet as a major information source. Thus, several projects in Europe foster desktop based solutions to educate immigrants, principally teaching the local language as the immigrants’ second language. What has been taught at desktops, in books and by oral presentations has its own value. However, the immigrant’s key challenge most typically arises in very concrete situations out there within urban life. In these critical situations, there is the need for instantaneous – ICT based – access to appropriate information sources. Immigrants need support right at the spot, they require assistance for the use of language and training in appropriate communication skills within the typical situation: in the office, at the shop, assistance in emergency and for urgent navigation needs. In a nutshell, immigrants need everywhere/everytime assistance which can only be realised in terms of a mobile service. Mobile assistance is crucial to provide more immediate support for immigrants in order to provide better information access and to help them cope with critical situations. However, in order to bridge the huge gap to actually becoming a productive member of the information society, immigrants require support for learning to progress in any necessary dimension. Motivation for learning should be supported with persuasive and affective computing, and social computing is required to motivate local community building, to connect immigrants with native citizens in order to foster communication. 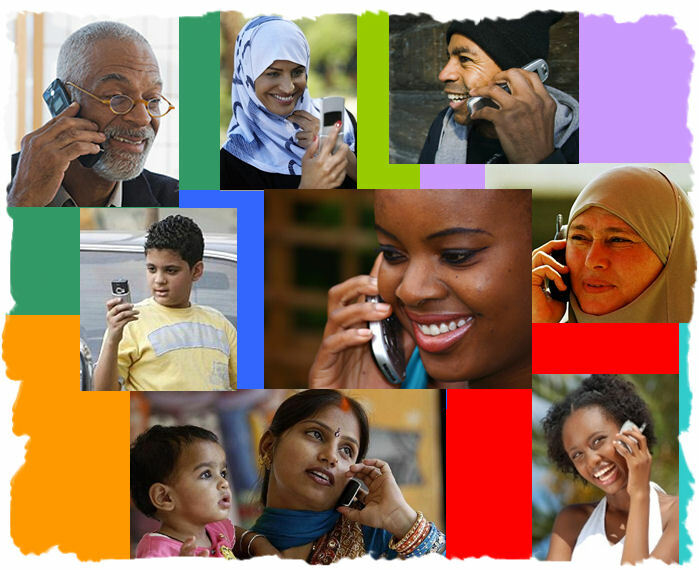 Communication of a both personal and cultural level should be reinforced not only within virtual environments but more importantly where it eventually matters, in real world critical situations that profoundly determine the quality of life, through the development of the person and the economy of the individual and the society as a whole. MASELTOV – recognises the major risks for social exclusion of immigrants from the European information society and identifies the huge potential of mobile services for promoting integration and cultural diversity in Europe. Mobile – everywhere/everytime – persuasive assistance is crucial for more efficient and sustainable support of immigrants. MASELTOV researches and develops novel ICT instruments in an interdisciplinary consortium with the key objective to facilitate and foster local community building, raising consciousness and knowledge for the bridging of cultural differences. MASELTOV realises this project goal via the development of innovative social computing services that motivate and support informal learning for the appropriation of highly relevant daily skills. 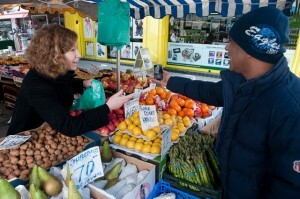 A mobile assistant embeds these novel services that address activities towards the social inclusion of immigrants in a persuasive and most intuitive manner which is highlighted in MASELTOV with a representative application of most essential / beneficial information and learning services – such as ubiquitous language translation, navigation, administrative and emergency health services. MASELTOV researches for and develops enabling technologies with the industrial potential to easily exploit and scale up the prototypical user shares within the embedment of already existing successful services with worldwide user coverage. The project with its scientifically, technically and socially relevant results will enable a massive social impact on the future with respect to more cooperative – more successful – integration of millions of (im)migrants living together with hundreds of millions cohabitating European citizens. MASELTOV intends to motivate immigrants with persuasive learning services for the appropriation of the local second language, playful learning of cultural understanding and basic literacy. MASELTOV takes advantage of the interplay between learning and social computing in order to apply learning (i) through communication as well as (ii) in the situated context, i.e., right at the spot where it matters, therefore jointly reinforcing the learning effect and the fostering of social inclusion. 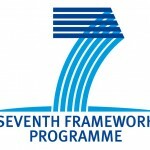 MASELTOV is in part funded by the European Commission, eInclusion, project FP7-ICT-7 No. 288587. Project duration January 2012 until March 2015.